The historic city of Edinburgh has no shortage of things to do and see. Whether you’re interested in arts, or culture, or partying, Edinburgh has it all. It’s very well-known for some of the best art festivals in the world, as well as some old and unique historical buildings. Whatever you choose, you’re bound to have a lot of fun. Not a lot of cities in the world can say that they have an extinct volcano nearby. That’s exactly what Arthur’s Seat is. It’s the main peak in the region, and it’s entirely visible from the city centre. Hiking there is quite easy, and once you’re there you’ll be rewarded with some of the best views of the city’s skyline. A local tradition states that women who wash their faces with morning dew from the hills on May Day will make them beautiful. While that’s a very specific claim, it’s a great way to start your day after the hike. This castle is one of the most iconic landmarks in all of UK. It’s located on top of another extinct volcano and is a grandiose feat of architecture. The views from the castle are breathtaking and unforgettable, and everything inside the castle itself is stunning -there regular reenactments of historical scenes. You can also sit down for a cup of tea in a very traditional tea room. Edinburgh Castle was the home to the famous king Robert the Bruce and is a spot where Scottish history comes to life. Nobody ever said that Edinburgh was not a party town. You can go for whiskey tasting, sampling beers at historic pubs, and even go to one of the many festivals in the city. Edinburgh is also a great destination to throw your own party. The party venues Edinburgh has to offer a lot of amazing ideas. 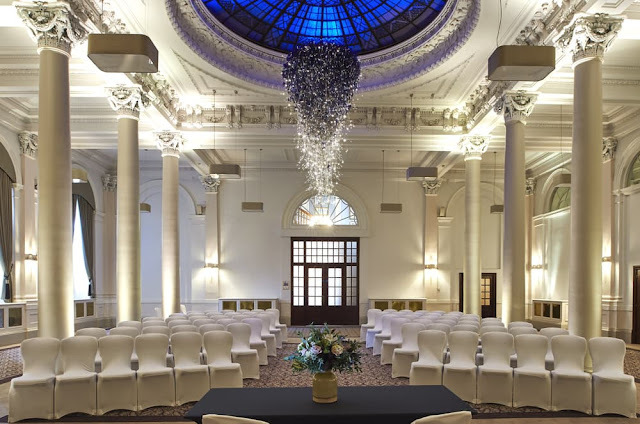 Don’t forget to use Venuefinder to find the venue that’s most suited for you. When it comes to contemporary clothing, there is no better place to shop in Edinburgh than Victoria Street. It winds down from George IV Bridge all the way down to the Grassmarket, and it’s filled with boutiques that offer fantastic clothing. Whether that’s designer clothes, something elegant, or tweed-based designs, Victoria Street has you covered. Once you’re done with shopping, don’t forget to take a lunch break in one of the many eateries around. One thing that Edinburgh has in spades is the wide variety of available live shows. Anything from theatre, to concerts, and the opera is available in Edinburgh. Numerous artists like David Bowie and Judy Garland have performed throughout the years, and the same quality of shows can be found today. Edinburgh is a fascinating city to visit. It just has so much to offer to any traveler. It’s one of those cities that’s always recommended for a visit, and everyone should see it at least once in their lives.